Dans le cadre d'une action de rapprochement de la fédération NORMASTIC et de la fédération Normandie Mathématiques, et du projet M2NUM (Région Normandie et Feder), nous organisons une journée intitulée "Méthodes variationnelles et statistiques appliquées au traitement d'images" à l'INSA Rouen Normandie, amphithéâtre CURIE, le vendredi 27 janvier 2017. Cette journée nous permettra d'accueillir deux orateurs invités : Denis Fortun (Ecole Polytechnique Fédérale de Lausanne) et Stéphanie Allassonnière (CMAP, Ecole Polytechnique), et donnera lieu à des exposés issus du travail de recherche effectué au sein des fédérations. Dans le cadre d’une action de rapprochement de la fédération NORMASTIC et de la fédération Normandie Mathématiques, et également dans le cadre du projet M2NUM (GRR LMN), nous organisons une journée intitulée « Méthodes variationnelles et statistiques appliquées au traitement d’images » au sein de l’INSA de Rouen, amphithéâtre CURIE, le vendredi 27 janvier 2017 de 9h45 à 17h00. 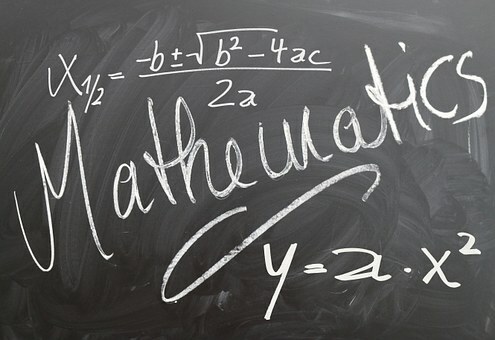 Cette journée nous permettra d’accueillir deux orateurs invités : Stéphanie Allassonnière (Professeur de mathématiques à l’Université Paris Descartes) et Denis Fortun (Ecole Polytechnique Fédérale de Lausanne) et donnera lieu à des exposés issus du travail de recherche effectué au sein des fédérations. Les exposés seront en français. Abstract : This talk will address the problem of non-convex optimization for two different applications, in the contexts of fluorescence microscopy and optical flow estimation. In each case, we will present efficient estimation methods exploiting the specific structures of the problems. The first part will be devoted to the correction of the fundamental anisotropy of fluorescence microscopes. We will describe a reconstruction method for accurate protein localization with high 3D isotropic resolution, based on multiview reconstruction. Our operational framework involves several steps. In this talk we will focus on the main methodological challenge, which is the joint estimation of the 3D model and of the unknown poses of the rotated observations. We propose a block-coordinate stochastic optimization approach adapted to the characteristic form of the associated non-convex problem. We demonstrate that accurate 3D protein localization that would be infeasible with standard microscopes is made possible by our approach, and we validate our method on real data. The second part of the talk will address the problem of optical flow estimation with piecewise parametric representations. The usual alternated optimization approaches are very sensitive to initialization, and have high computational costs. We propose a new method based on an over-parametrization of the motion field, without any segmentation step. We design a proximal splitting scheme yielding one-dimensional piecewise affine denoising subproblems, for which we propose an efficient solver. We achieve competitive results without initialization of the optimization process, contrary to other piecewise affine methods. Our method is also significantly faster. In particular, the number of regions is not known a priori and has no influence on the computational cost. Abstract : Each brightness value in an image is viewed as the sum of two components, the diffuse and the specular parts, based on the dichromatic reflection model. The diffuse reflection component arises from the subsurface scattering which directly represents the shape of an object surface. The specular reflection component is usually introduced at the air/material interface with a low amount of scattering. Hence, it is generally observed to be concentrated and forms some high intensity lobes on the object surface. Whereas the diffuse component represents the shape of an object surface, specularity reflection is an unwanted artifact that can hamper high-level processing tasks such as visual recognition, tracking, stereo reconstruction, objects re-illumination. Specularity removal, a challenging topic in computer vision, is thus a decisive preprocessing for many applications. We present here a new image specularity removal method, based on polarization imaging through global energy minimization. Polarization images provide complementary information and reduce color distortions. By minimizing a global energy function, our algorithm properly takes into account the long range cue and produces accurate and stable results. Compared to other color-based or polarization-based methods of the literature, our method obtains encouraging results, both in terms of accuracy and robustness. Titre : A Unified Hyperelastic Joint Segmentation/Registration Model Based on Weighted Total Variation and Nonlocal Shape Descriptors. Abstract : Image segmentation and image registration are both fundamental tasks of image processing and present interests in clinical studies. In this work, we address the issue of designing a theoretically well-motivated variational model for joint registration-segmentation capable of handling large and smooth deformations. The shapes to be matched are viewed as hyperelastic materials and more precisely as Saint Venant-Kirchhoff ones. We aim to minimize a functional containing a nonlinear-elasticity-based regularizer and a dissimilarity measure relying on weighted total variation to align the edges of the objects and nonlocal shape descriptors inspired by the Chan-Vese model for segmentation dealing then with both segmentation and registration. Theoretical results and numerical experiments are provided. This is a joint work with Carole Le Guyader, Institut National des Sciences Appliquées of Rouen, France. 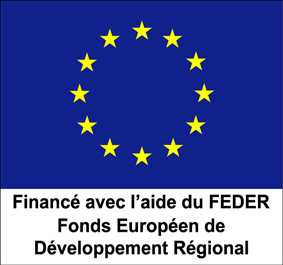 This work is co-financed by the European Union with the European regional development fund (ERDF, HN0002137) and by the Normandie Regional Council via the M2NUM project. Abstract : In this talk, we are interested in geometric variational approaches and more precisely region-based active contours where segmentation is modeled as the research of an optimal domain according to a given criterion. We will introduce briefly some interesting statistical criteria that include photometric and geometric data terms for supervised or unsupervised segmentation using either parametric and non parametric pdfs. The associated optimization schemes will be also mentioned and recent examples of tumor segmentation in positron emission tomography (PET) images will be given and compared to Random Walker methods using a complete training data set provided by a MICCAI challenge. This medical application was made in collaboration with Su Ruan (from the LITIS laboratory) within the NORMASTIC federation. Secondly, we will also introduce how the geometric variational approaches can be extended for the estimation of a reference shape from a set of different segmentation results using a criterion based on information theory. The applicability of this framework will be tested for the evaluation of segmentation methods. This last approach was supported by the action MedIEval of the GDR STIC Santé. Abstract : In this work, we propose a generic hierarchical spatiotemporal model for longitudinal manifold-valued data, which consist in repeated measurements over time for a group of individuals. This model allows us to estimate a group-average trajectory of progression, considered as a geodesic of a given Riemannian manifold. Individual trajectories of progression are obtained as random variations, which consist in parallel shifting and time reparametrization, of the average trajectory. These spatiotemporal transformations allow us to characterize changes in the direction and in the pace at which trajectories are followed. We propose to estimate the parameters of the model using a stochastic version of the expectation-maximization (EM) algorithm, the Monte Carlo Markov Chain Stochastic Approximation EM (MCMC SAEM) algorithm. This generic spatiotemporal model is used to analyze the temporal progression of a family of biomarkers. This progression model estimates a normative scenario of the progressive impairments of several cognitive functions, considered here as biomarkers, during the course of Alzheimer’s disease. The estimated average trajectory provides a normative scenario of disease progression. Random effects provide unique insights into the variations in the ordering and timing of the succession of cognitive impairments across different individuals. 15h15 – 15h45 : Exposé de Sonia Tabti (Post-doctorante au Laboratoire GREYC Caen depuis janvier 2017) sur son travail de thèse au LTCI à Télécom ParisTech. Titre : Introduction of invariance properties in a patch-based GMM prior. Applications in image restoration. Abstract : Patches have proven to be very effective features to model natural images and to design image restoration methods. Given the huge diversity of patches found in images, modeling the distribution of patches is a difficult task. In order to introduce a shift-invariance property in a GMM (Gaussian Mixture Models) prior, rather than attempting to accurately model all patches of the image, we advocate that it is sufficient that all pixels of the image belong to at least one well-explained patch. An image is thus described as a tiling of patches that have large prior probability. In contrast to most patch-based approaches, we do not process the image in patch space, and consider instead that patches should match well everywhere where they overlap. An application of this modeling is proposed in SAR (Synthetic Aperture Radar) image restoration. A suitable data-fitting term is defined to account for the statistical distribution of speckle. Results are competitive with state-of-the art SAR despeckling methods. Preliminary work on how to introduce affine radiometric transform invariance in a GMM prior will also be presented. Ce travail a été financé partiellement par le CNRS et la DGA et a été effectué au LTCI à Télécom Paris Tech. Abstract : We study numerical approximations of the evolution problem for the nonlocal p-Laplacian with homogeneous Neumann boundary conditions governed by a given kernel. There are many applications that integrate this PDE model, especially in medical imaging, covering segmentation and semi-supervised classication, restoration, simplification, etc…. First, we derive a bound on the distance between two continuous-in-time trajectories defined by two different evolution systems (i.e. with different kernels and initial data). We then provide a similar bound for the case when one of the trajectories is discrete-in-time and the other is continuous. In turn, these results allow us to establish error estimates of the discretized p-Laplacian problem on graphs. More precisely, for networks on convergent graph sequences (simple and weighted graphs), we prove convergence and provide rate of convergence of solutions for the discrete models to the solution of the continuous problem as the number of vertices grows. We finally touch on the limit as p →∞ in these approximations and get uniform convergence. 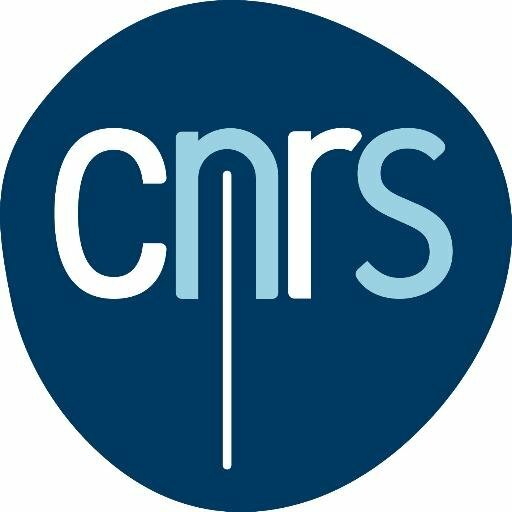 Abstract : In statistics, the restoration of signals, images and videos can be formalized as a regression model. However, even if the intrinsic dimension of the object to be restored (signal, image, video) is very large, its intrinsic « complexity » is generally small. The introduction of this prior information can be done through two approaches: (i) penalization (very popular) and (ii) aggregation by exponential weighting (EWA). The penalized approach aims at finding an estimator that minimizes the quadratic risk penalized by a term promoting objects of low (simple) complexity. The EWA combines a family of pre-estimators, each associated with a weight exponentially promoting pre-estimators promoting the same objects of low complexity. In this presentation, we will consider these two types of estimators (penalized and EWA) with a general prior promoting simple objects (popular example, sparse signals). We will establish their inequalities oracles in a unified framework, and then decline them for particular cases. We will then propose an implementation of these estimators by combining Monte-Carlo simulation (Langevin diffusion process) and proximal burst algorithms, and show their guarantees of convergence. These estimators will then be illustrated on several examples. En raison du plan vigipirate, les personnes extérieures à l’INSA devront se faire enregistrer à l’accueil de l’INSA et porter un badge invité. Merci à Luc Brun pour sa supervision attentive et éclairée. Merci à Agnès Zannier pour toute l’aide apportée dans la préparation de la journée.